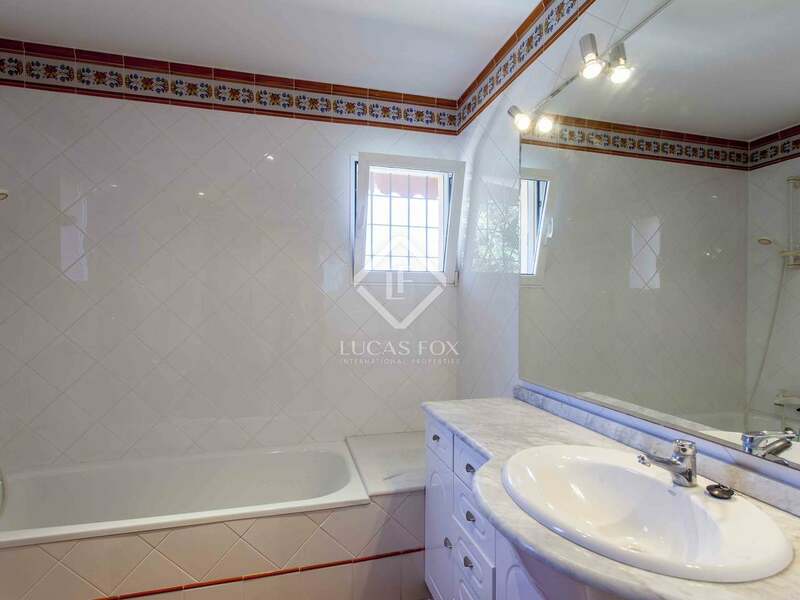 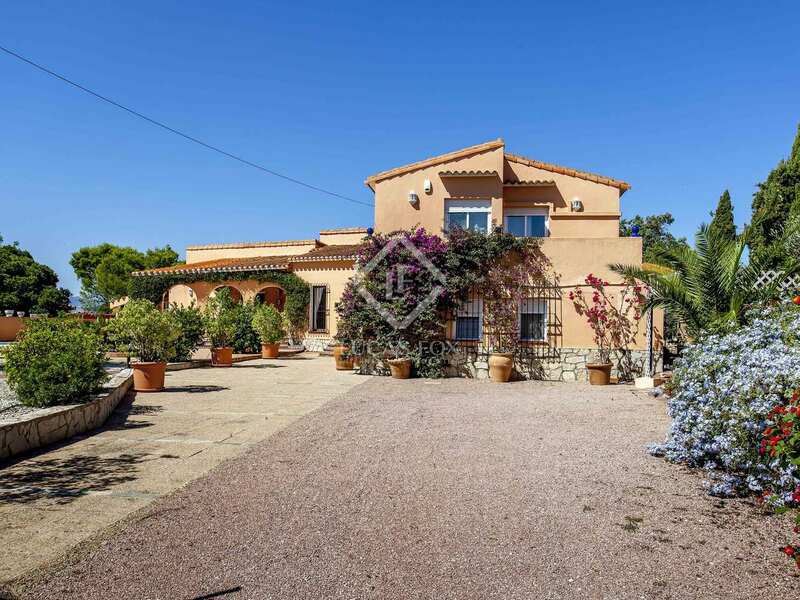 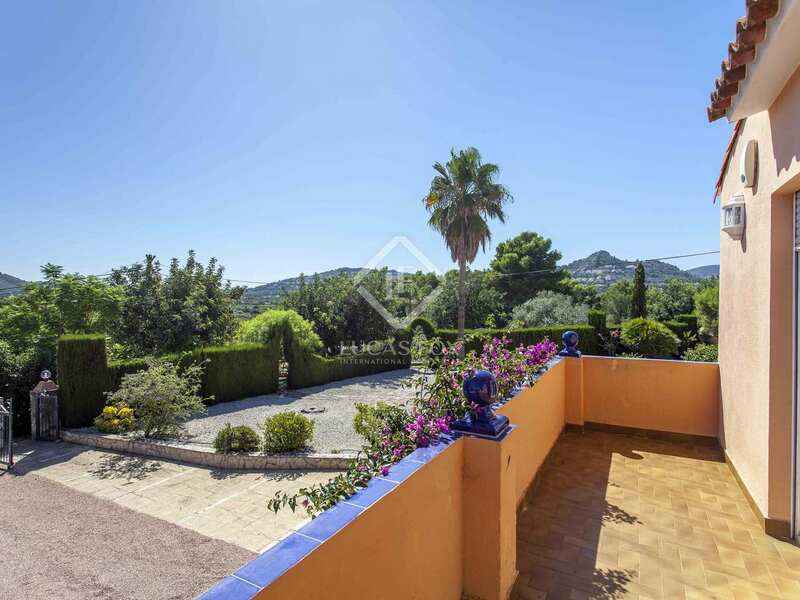 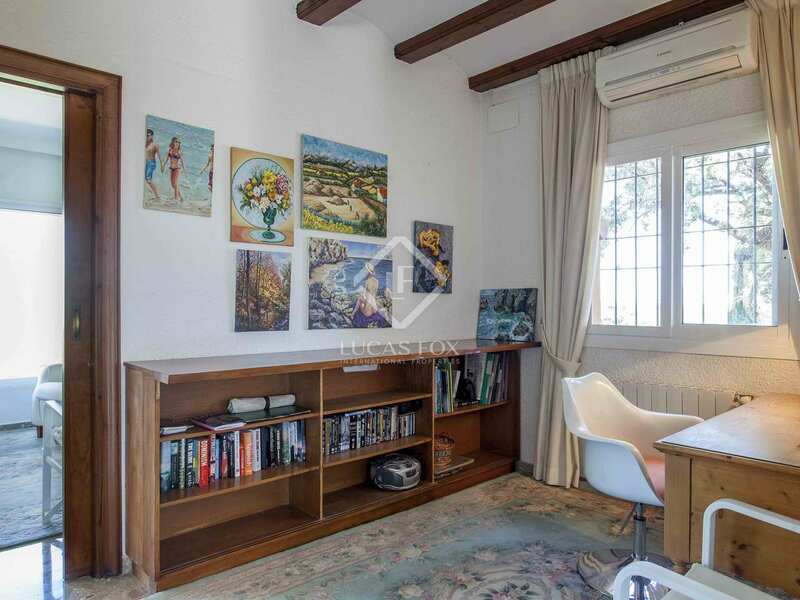 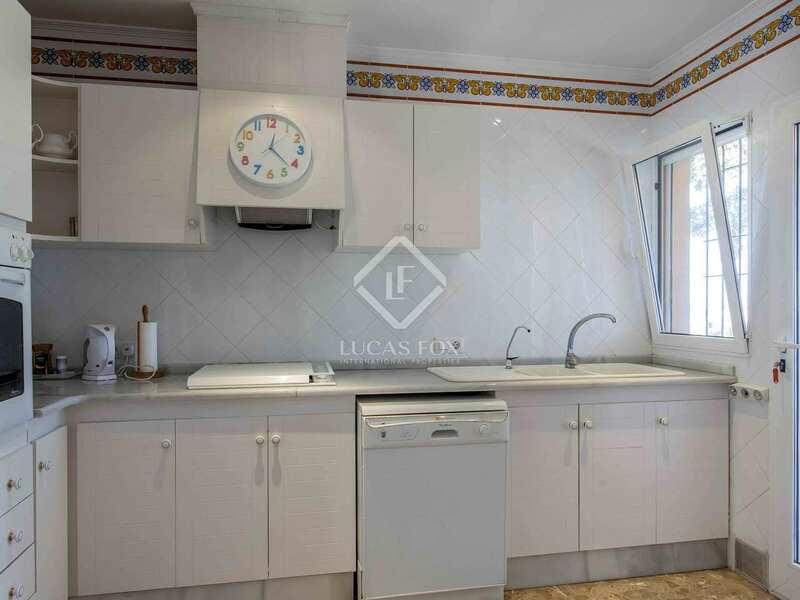 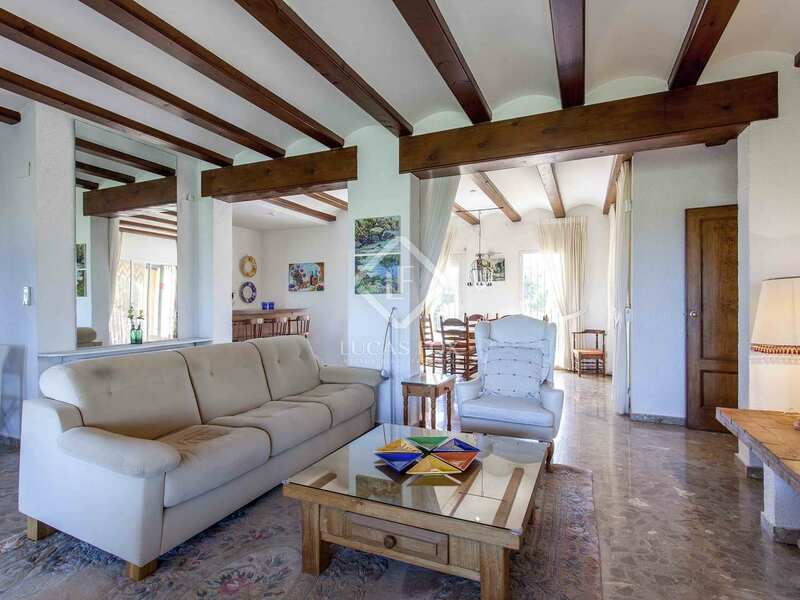 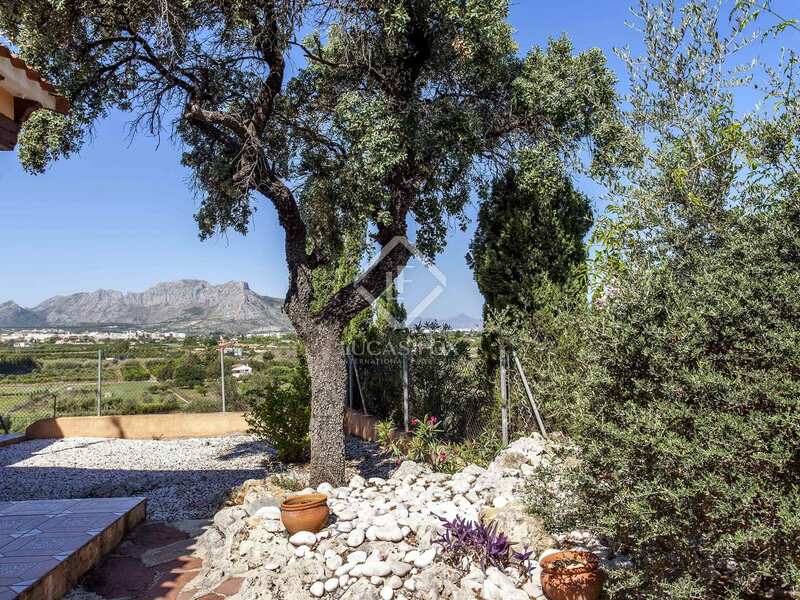 A beautiful house on a large plot with views, terrace, separate guest house, pool and orchard, very close to the La Sella golf course. 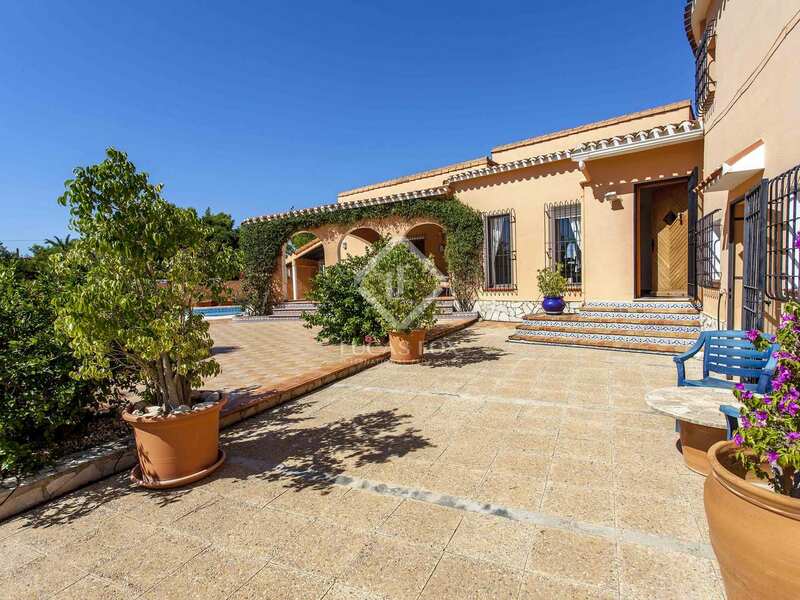 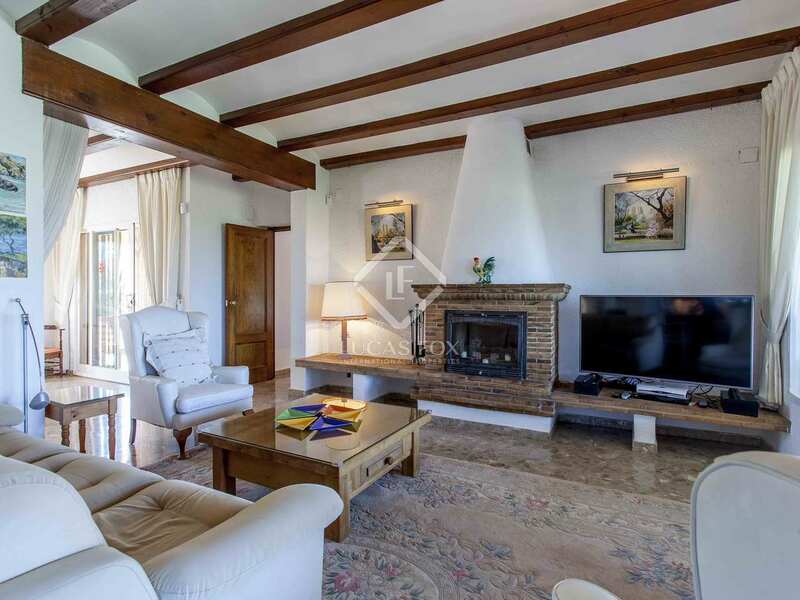 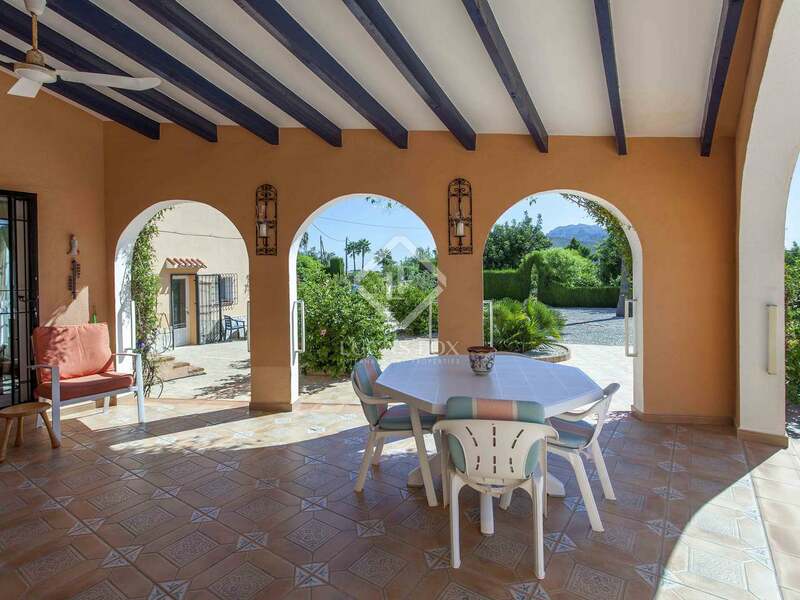 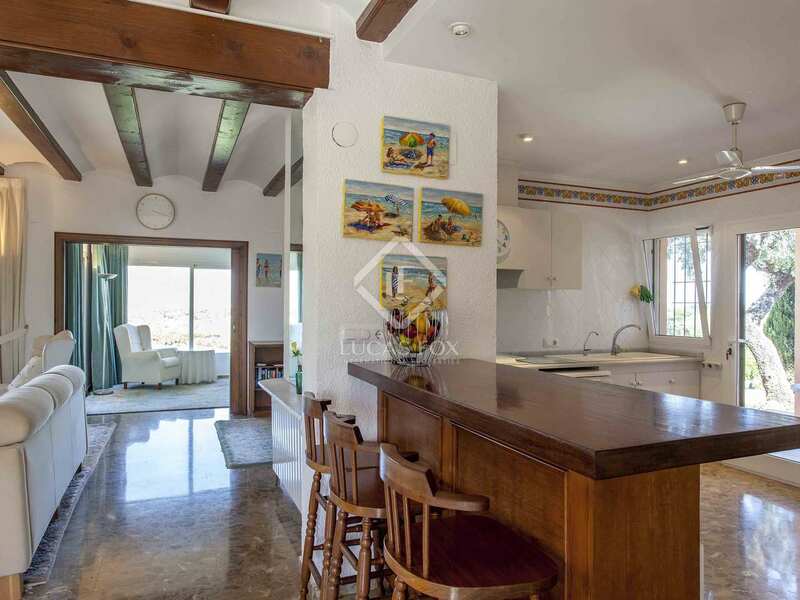 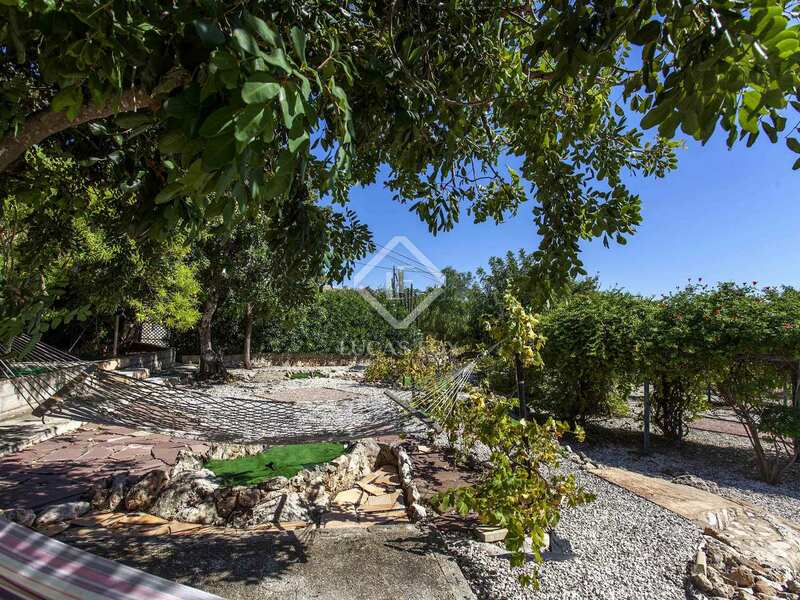 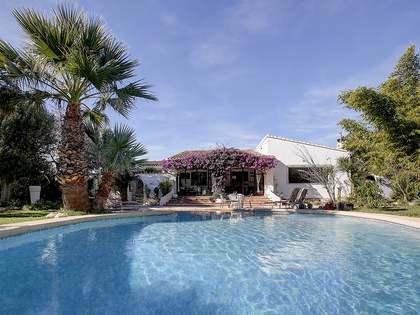 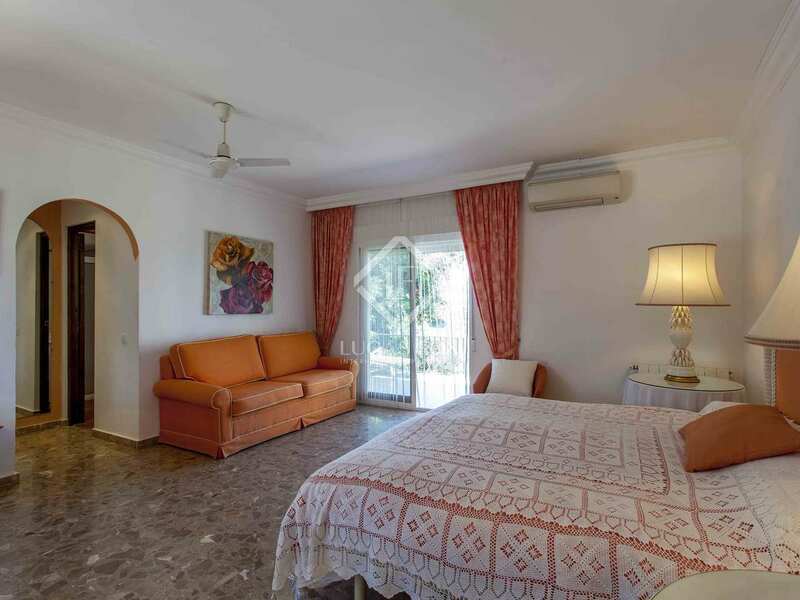 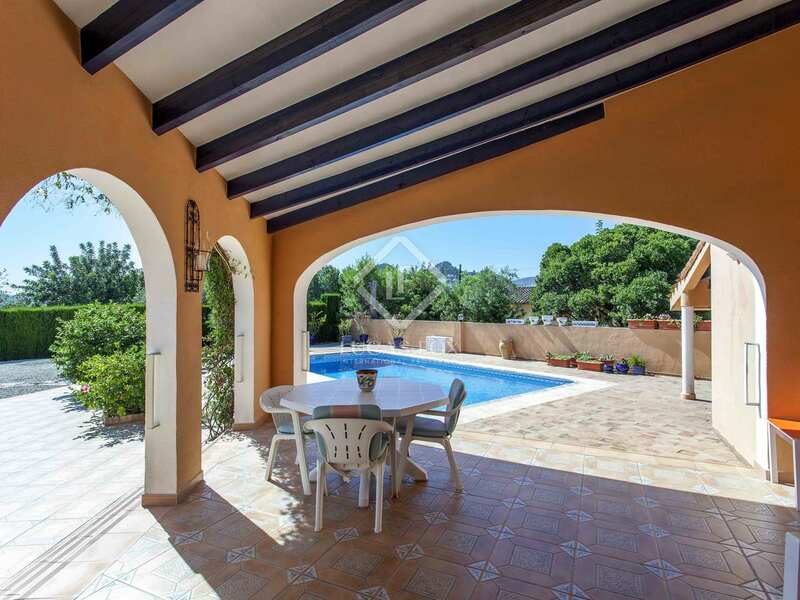 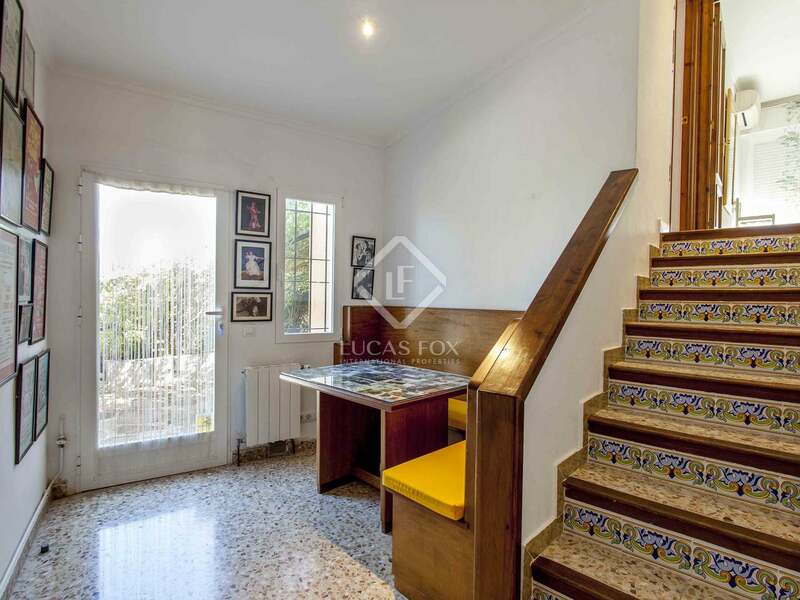 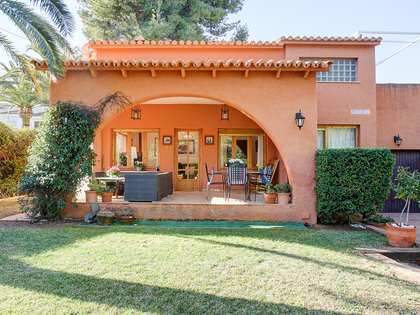 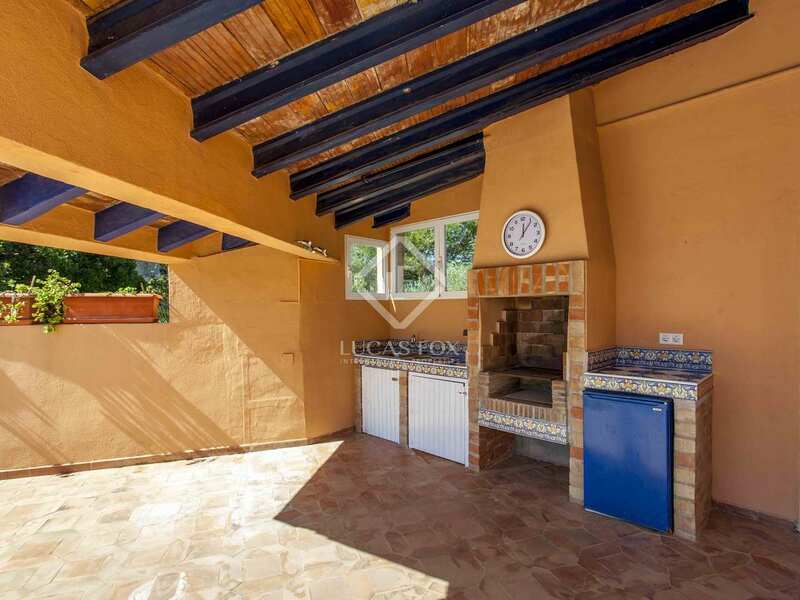 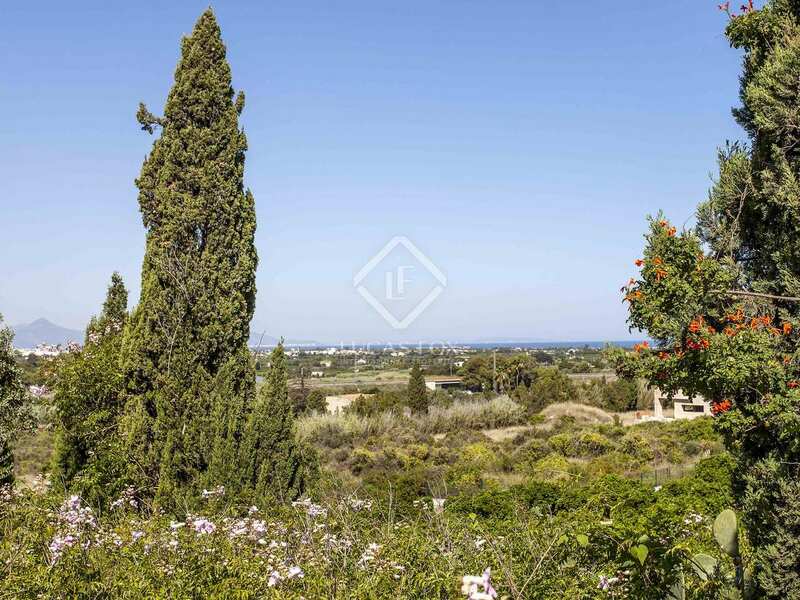 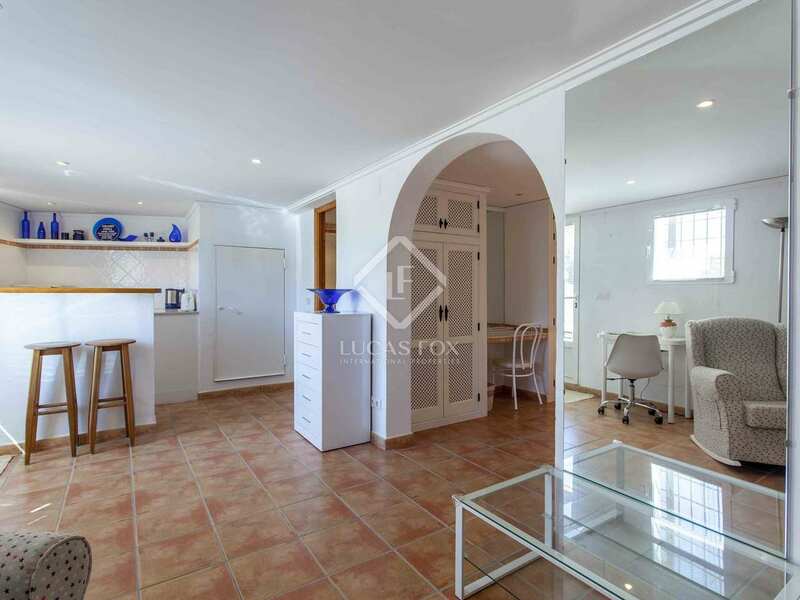 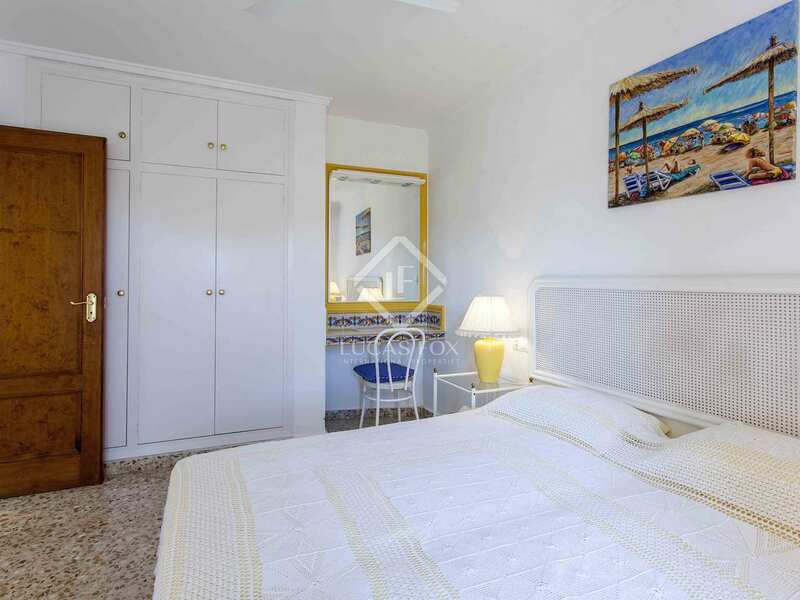 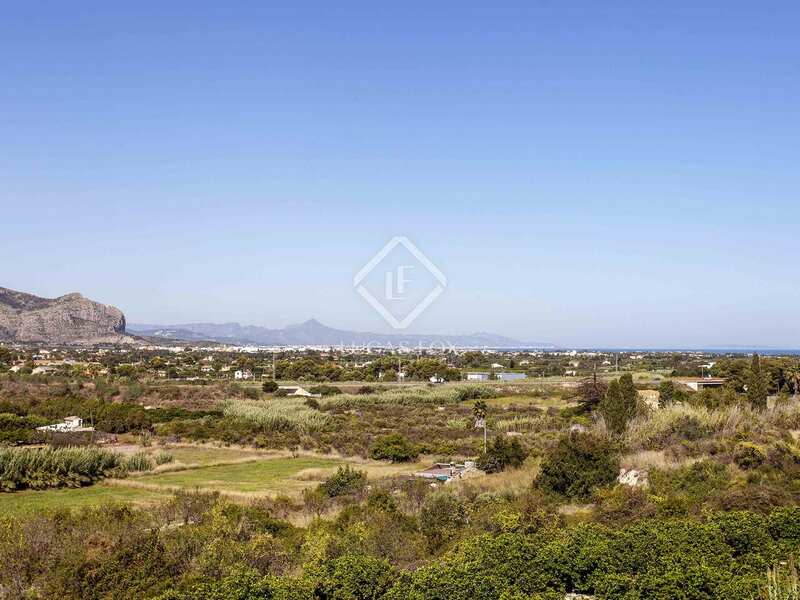 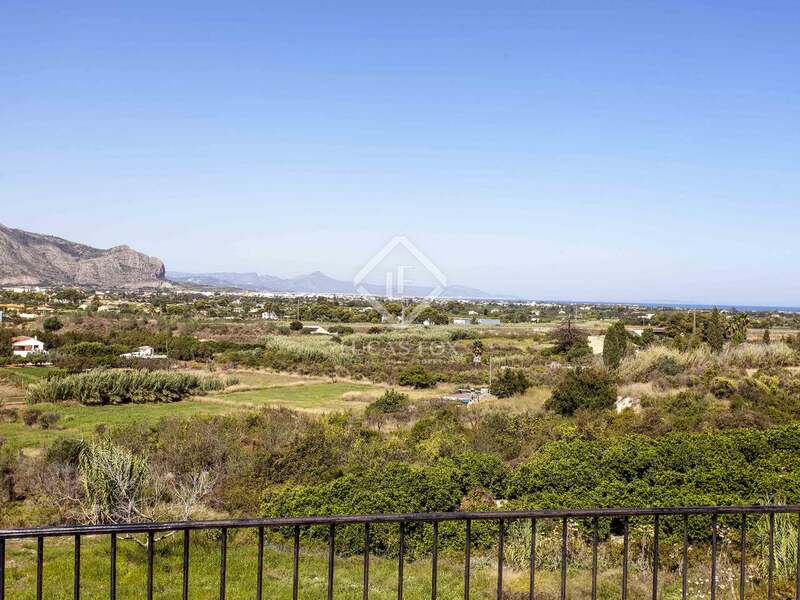 Here we find a very large and attractive villa on a 2,500 m²plot for sale in La Xara, Denia, very close to the La Sella golf course, and offering good views. 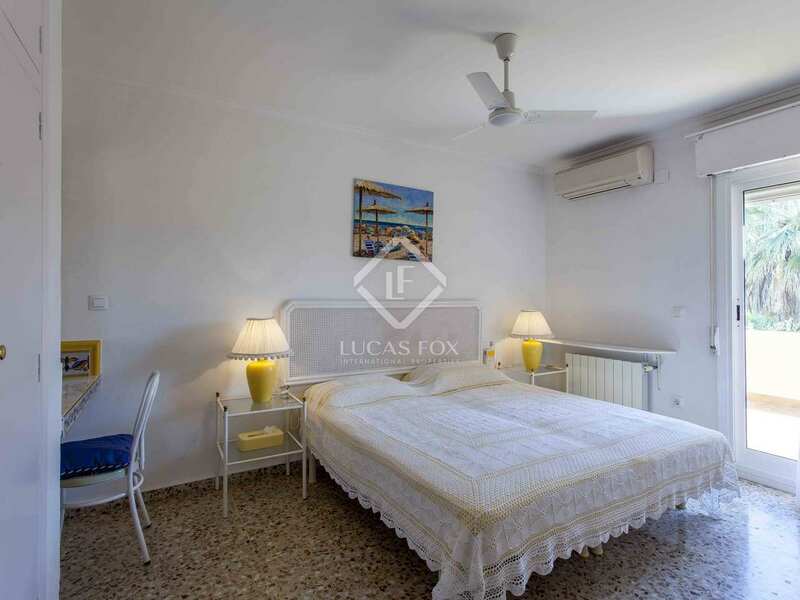 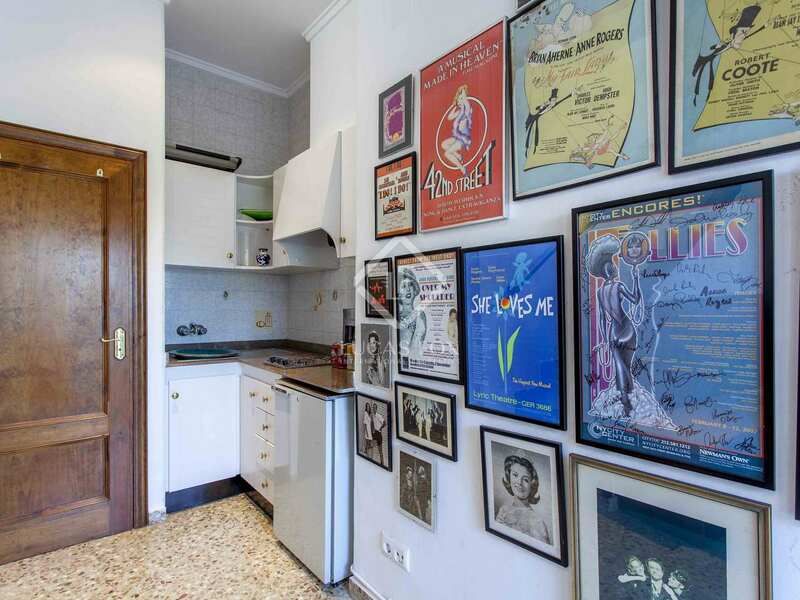 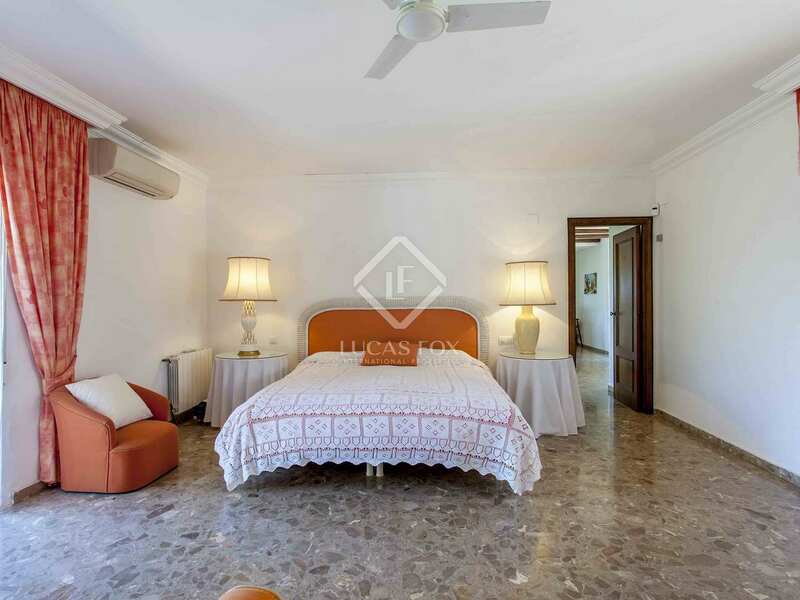 It is characterized by its spacious rooms and its distribution on one floor, with a separate guest house with its own terraces plus an annexe. 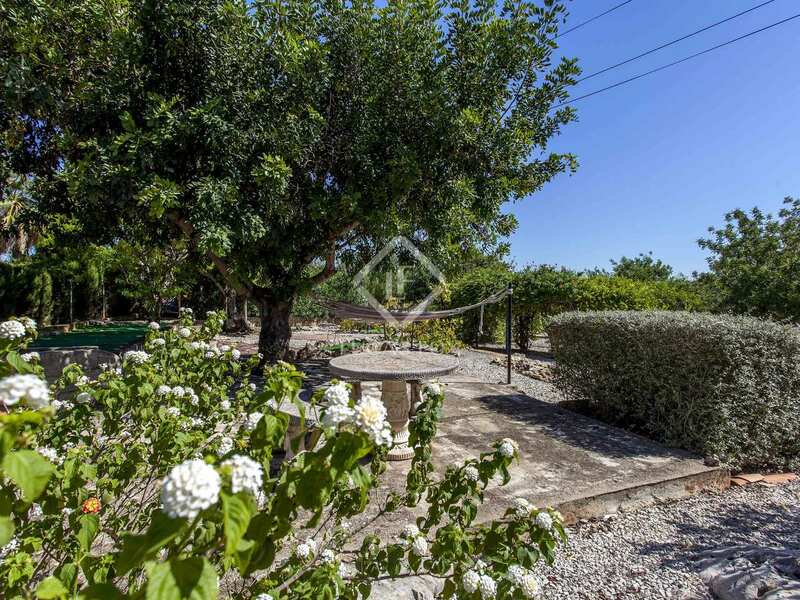 The property has a large entrance gate, pool and a small orchard, and is surrounded by orange groves. 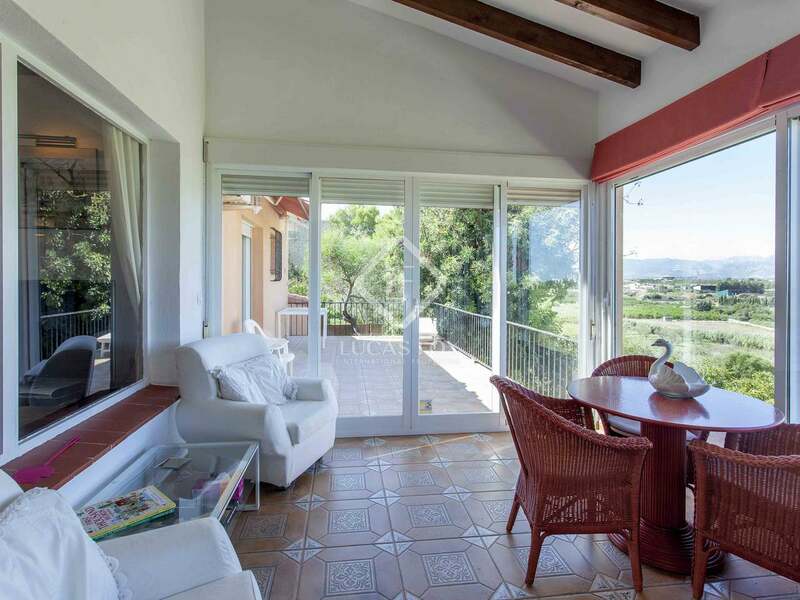 The main house is all exterior with large windows and panoramic views over the Montgó mountain. 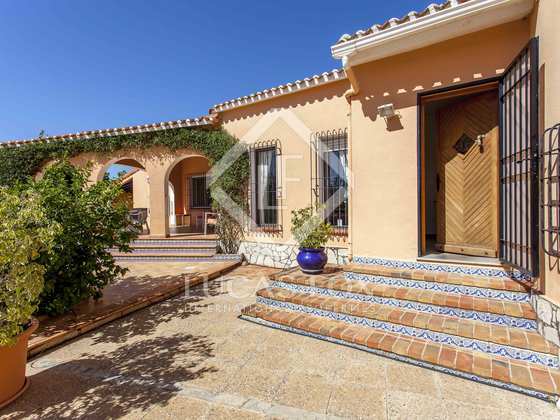 It has a huge porch with direct access to the pool and the barbecue. 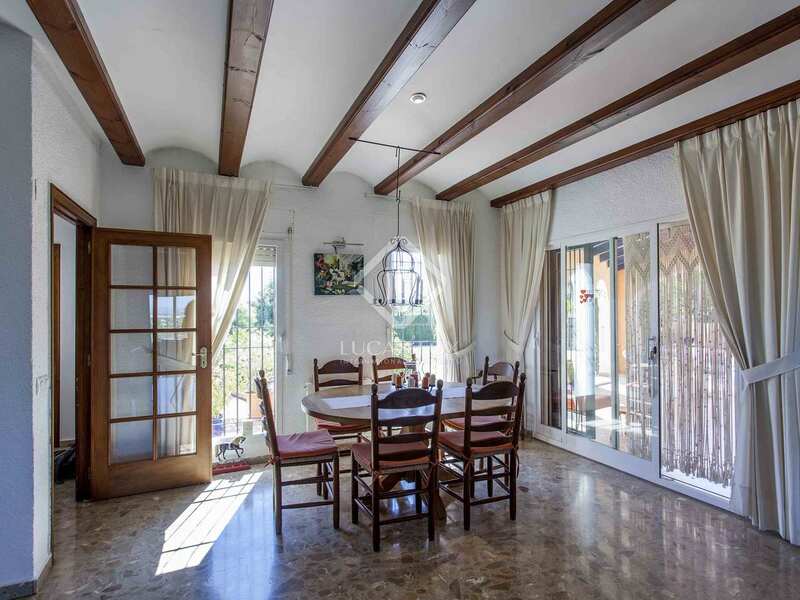 We enter the main house through the entrance hall and find a living-dining room, reception room and kitchen. 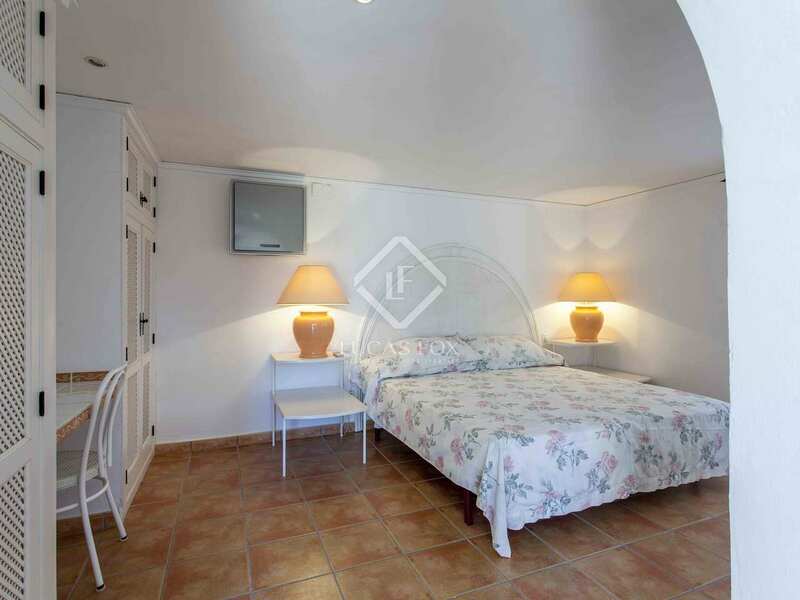 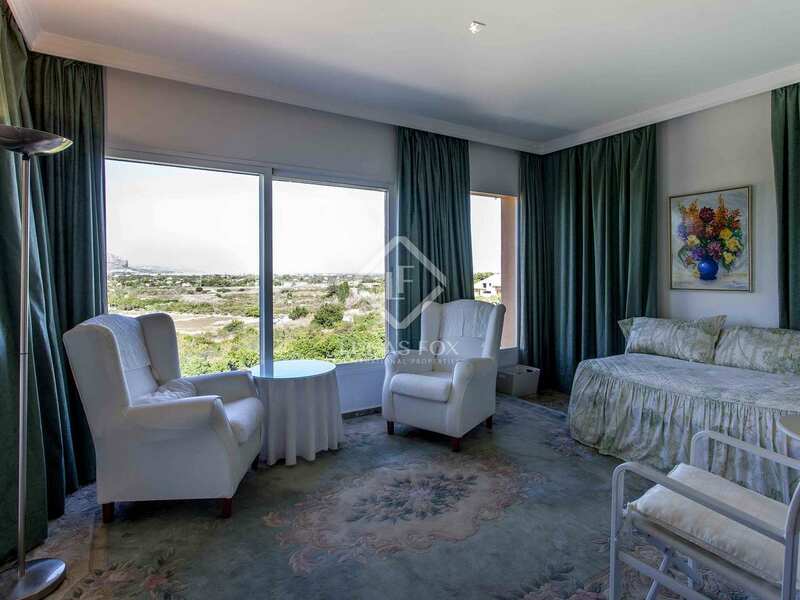 There is 1 ensuite bedroom, a dressing room, 1 complete bathroom and terraces. 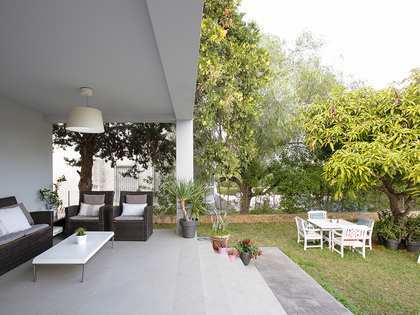 The guest area includes an independent entrance, and has a living-dining room with an open kitchen. 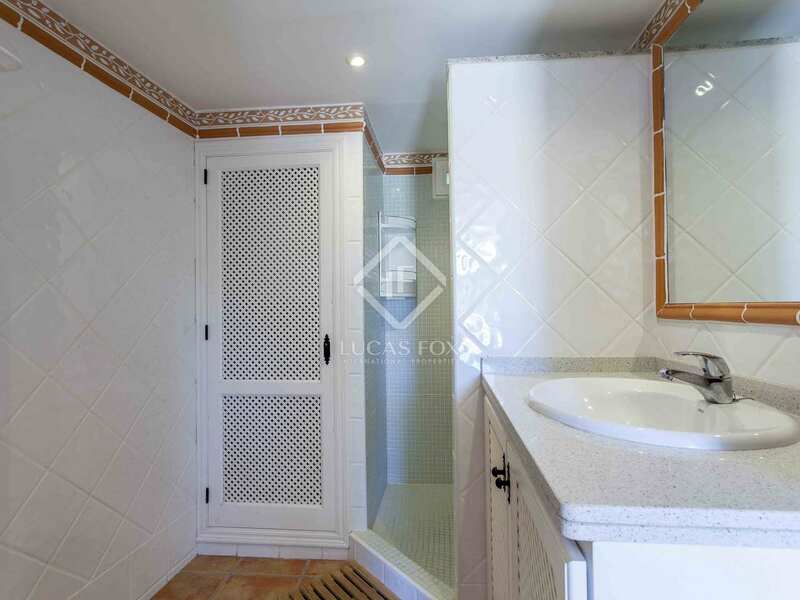 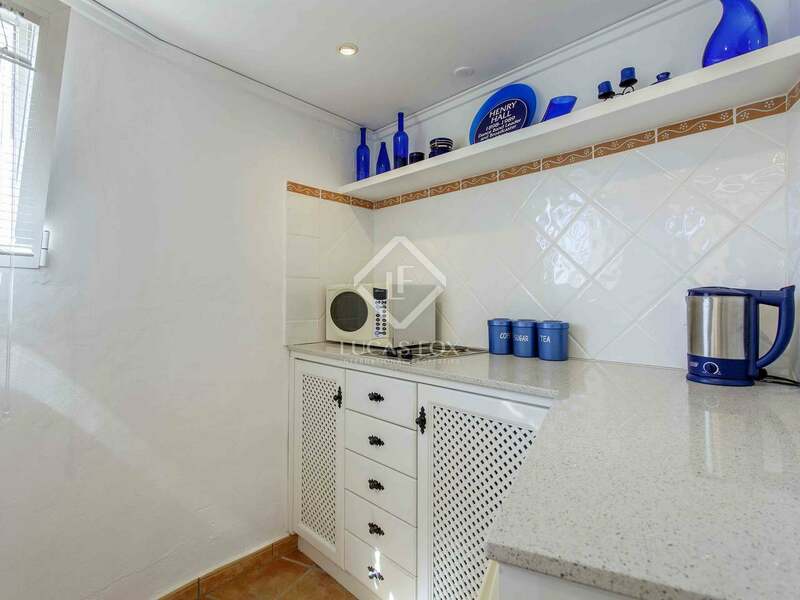 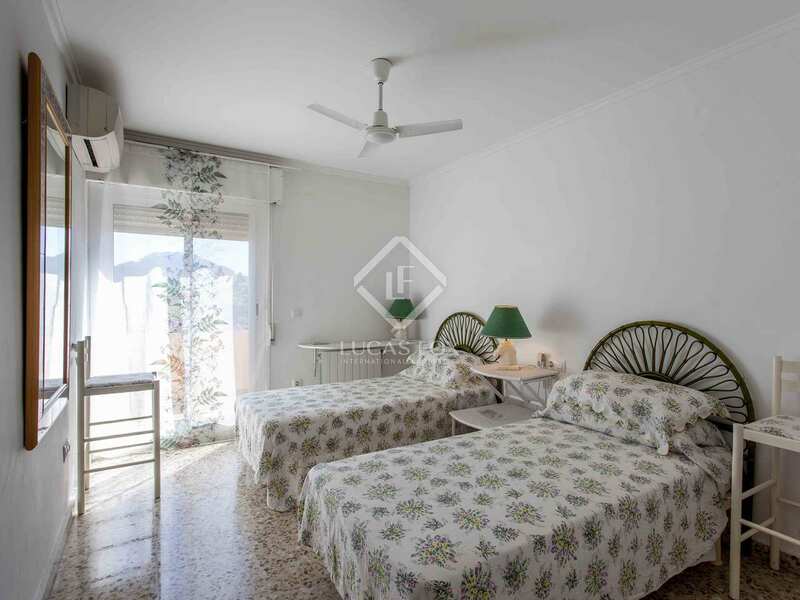 There are 2 bedrooms and 1 bathroom, and terraces. 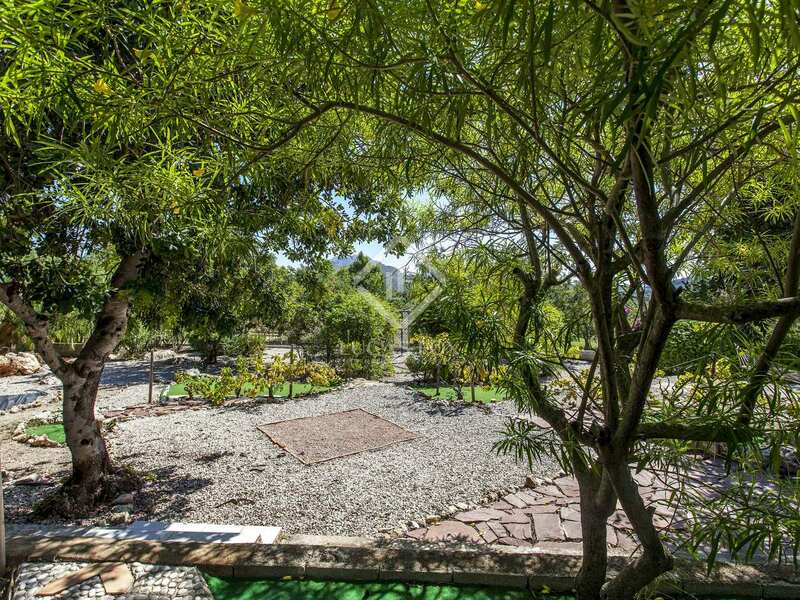 This area is independent to the main house. 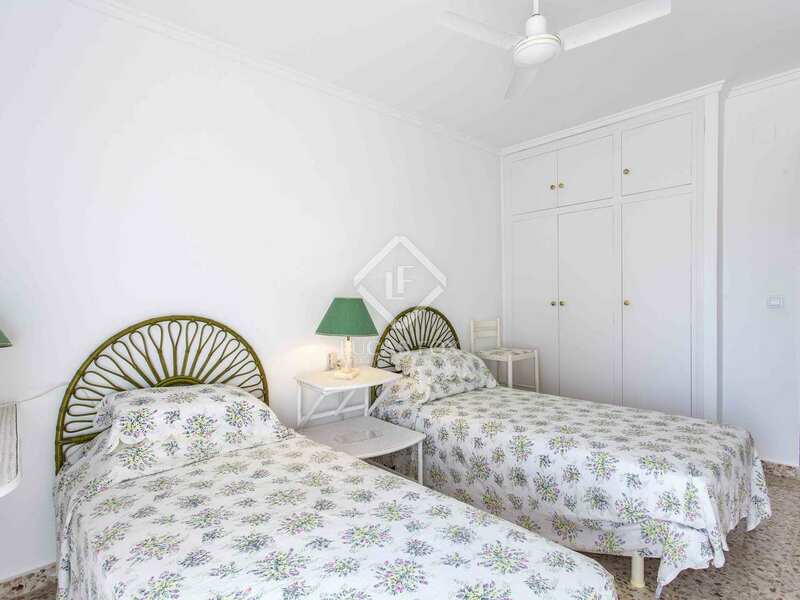 An annexe to the main house offers 1 double bedroom, an eat-in kitchen, living room and 1 complete bathroom. 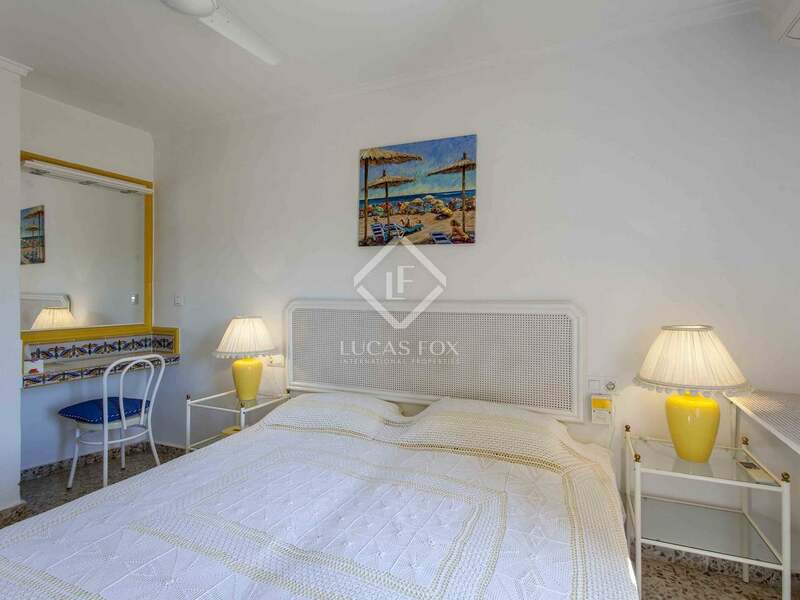 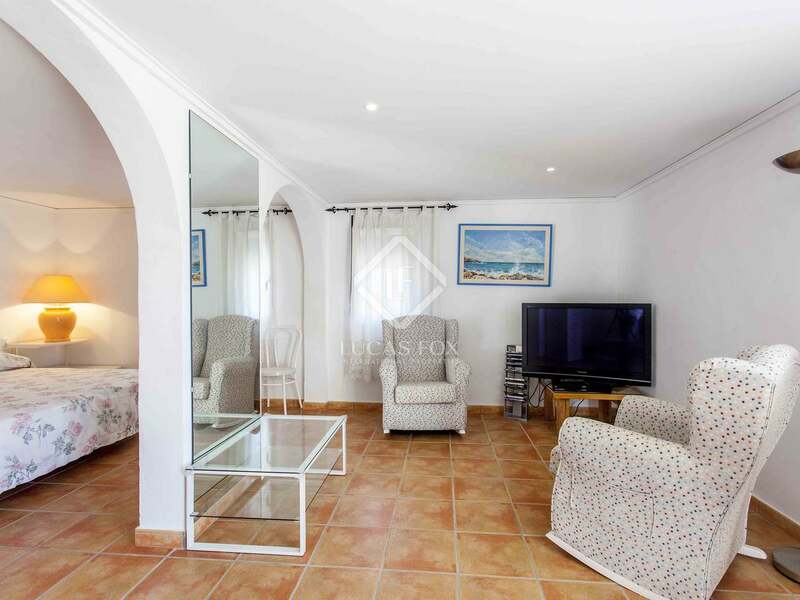 This villa is particularly suitable for golf lovers and those who enjoy welcoming guests in their own separate living space.